Small scale agricultural farming was first initiated by indigenous communities living on Turkey’s Anatolian plateau, and not introduced by migrant farmers as previously thought, according to new research by the University of Liverpool. Professor Douglas Baird and his team discovered the presence of carbonised seeds and phytoliths of wheat chaff at Boncuklu, along with agricultural weeds commonly found in early farming sites, suggesting the cultivation of crops did take place. Additionally, nitrogen isotopes from sheep and goat bone collagen indicate very small scale experimentation with the herding of these animals. Analysis of stone tools and ancient DNA suggests an indigenous population, rather than migrants from earlier agricultural communities within the Fertile Crescent. 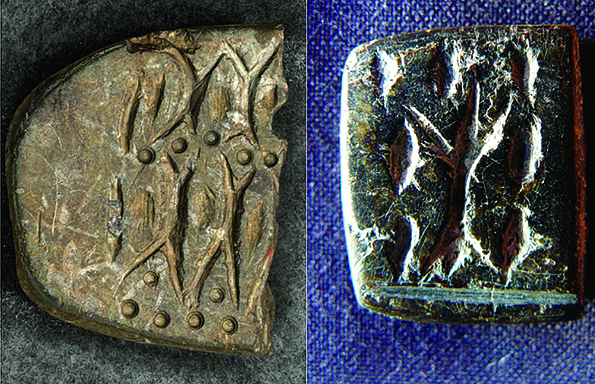 Professor Baird said: “Confounding the expectations of some archaeologists that the migrant farmer brought farming to central Anatolia, our evidence shows that the site of Boncuklu was occupied by long present, local Anatolian communities who mostly hunted and gathered a wide range of wetland animals and plants, but adopted farming from areas to the south and east through exchange. Project Co-Director, University of Queensland Associate Professor Andrew Fairbairn, said: “Unexpectedly, this low level food production persisted for at least five centuries. “Archaeologists usually consider these kinds of food production systems to be short-lived and transitional, but our research suggests a stable and persistent use of crops and herd animals as a minor part of the economy for a long time. The team contrasted Boncuklu with the nearby site of Pınarbaşı, excavated by Professor Baird in 2003-4. Lying 30km south of Boncuklu in Karaman Province, evidence suggests these communities resisted the adoption of farming and maintained a hunter-gatherer lifestyle, showing the spread of agriculture beyond the Fertile Crescent was neither uniform nor inevitable. 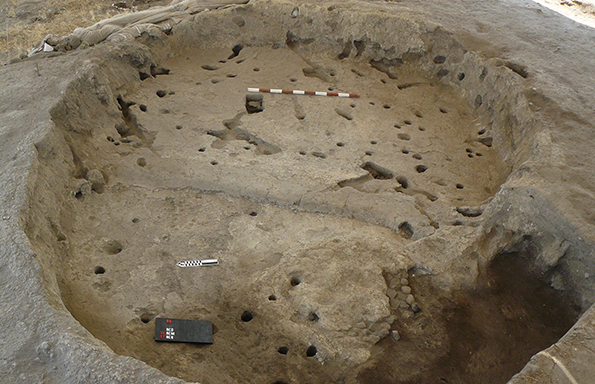 Professor Baird, from the University’s Department of Archaeology, Classics and Egyptology, said: “Intriguingly, while Pınarbaşı was abandoned and its people disappeared from the archaeological record, we believe that the way of life we see at Boncuklu contributed directly to that conducted at the slightly later Neolithic settlement, Çatalhöyük. Funded by the British Academy, the British Institute at Ankara and the Australian Research Council, the research is published in the journal Proceedings of the National Academy of Sciences of the USA (PNAS). It was conducted by an international team led by Professor Baird, Associate Professor Andrew Fairburn, and Assistant Professor Gokhan Mustafaoglu and included researchers from Bournemouth University, University College London, University of Reading, Cornell University, Middle Eastern Technical University Ankara, Thrakya University, Bulent Ecevit University Zonguldak, Peking University and Harvard University, as well as Universities of Liverpool and Queensland. As part of the project an experimental area has been developed, including reconstructed Neolithic houses, with plans to develop a Neolithic ‘garden’.